WOW. A rare builder model home sale and leaseback opportunity. Incredible 2,100+ sqft 3 level town home with 3 master suites, 14x20 roof terrace, 3rd floor loft and much more. This home is loaded with upgrades including a detached garage, 30k in custom landscaping, wood floors, high end appliances, upgrade granite counters, subway tile backsplash, upgraded, white shaker cabinets, 12ft kitchen island, a 3 level open stairway, craftsman style open rails, walk in laundry room, massive 3'6" by 7' shower in 2 of the 3 master suites, all ceramic tile bathrooms, and much more. With a retail price of $431,635 this home is being offered at a $38,000 + discount of $393,152. The buyer must allow a builder a model home lease back of $2,900 a month for a minimum of 1 year with an option for month to month extensions at the builders sole discretion. The builder will maintain the property for term of lease ands pay utilities during term. Buyer to pay property taxes. This home is about 80% complete now and ready for you to tour before the community opens for sales. 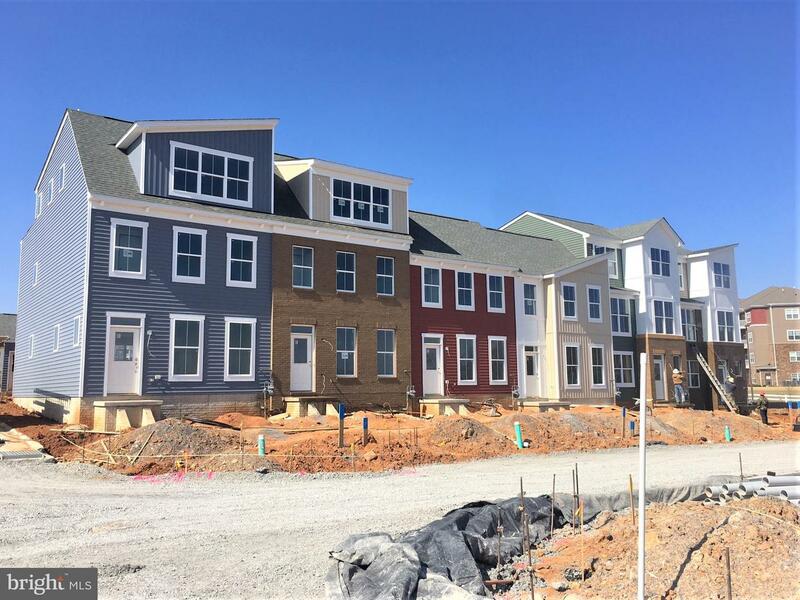 This home will serve as the Townhome model home for the Gambrill View Community with 200 new homes by Rocky Gorge of McLean VA. Call listing agent for additional details. Listed by Mike Muren of Long & Foster Real Estate, Inc.